Do you want to be sure to have the compliance EN54? You can find the complete kit ready for purchase on Windowo. Opera is an independent company. The production premises are based in Modena - Italy, town with an old tradition in lock manufacturing. The company was set up in 1997 and it is specialised in the manufacturing of electronic locks and doors accessories. From a company that manufactured products, Opera has evolved into a company that offers solutions aimed at improving the security and safety of individuals and their belongings. Today with more than 20 people and advanced production means, Opera is at the top of the European ranking of locks manufacturers. 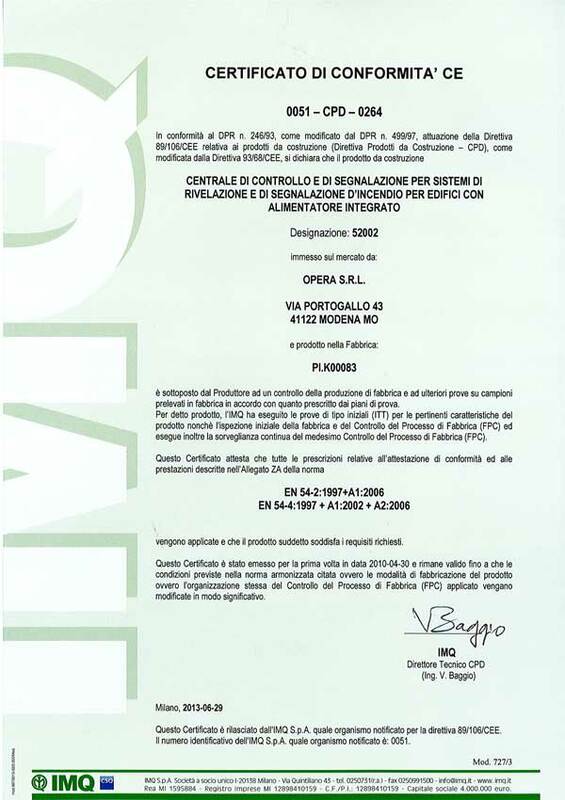 We believe in the quality of Italian companies and of our suppliers who are 90% from within Italy. Our high quality products are produced respecting environment and all relevant European standards. We are proud to work and to live in Modena, little city in the North of Italy that is an UNESCO heritage italian site since 1997.